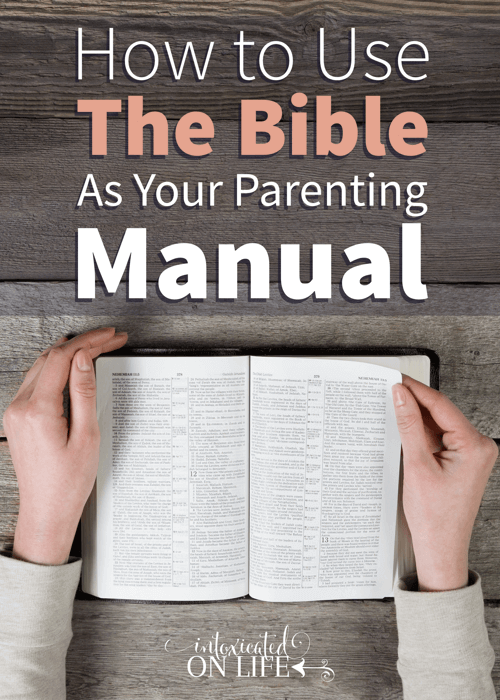 Parenting is hard; but we sure are lucky to be able to use the Bible as a Parenting Manual. When we begin our parenting journey, we don’t have a clue. For example, my husband and I probably changed our newborn daughter’s crib sheet fifty times in the first week of her life. I’m sure you’re aware that infants are notorious for those messes we affectionately call “diaper blowouts,” and I think my baby girl had more than her fair share. So we changed sheet after sheet after sheet. All. Week. Long. Then one day my mom brought us a package of these fantastic inventions called lap pads. Simply slide one under the baby in her crib, and voila! Now you change the pad eight times a day instead of the sheet. Apparently we really were incapable of thinking to put something under our baby as she slept. I wonder how long it would’ve taken for the idea to occur to us had my mom not mercifully intervened. There’s definitely a learning curve when it comes to the physical care of children. But what was even more sobering for me as a new mom was the realization that I was responsible for the spiritual care of this tiny, cherished bundle. While the decision to trust in Jesus would belong to her, the duty to point her toward Him was mine. And that scared me to death. Thankfully, God has made good on His promise of enough grace (2 Corinthians 12:9) for more than twelve years now. And one of His many gracious acts toward me was redirecting my gaze back to Him. Toward His complete provision for me, and for my little girl and her two siblings to follow. Toward His Spirit living within me, empowering me and equipping me, and toward His Word, informing me and inspiring me. 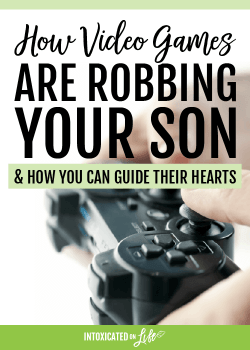 I’ve found the Bible to be the supreme parenting manual. 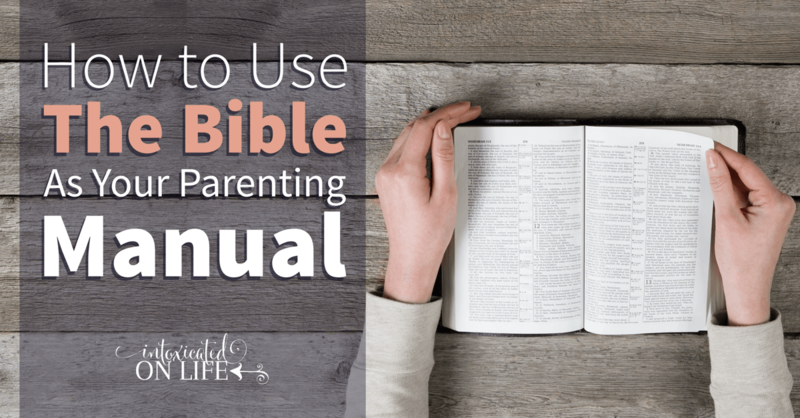 Here are some ways you might consider using the Bible as a parenting manual. 1. Engage in a real relationship with God yourself. It’s important to square this away right from the get-go: the Bible is not a magic lamp, and God is not our genie. If our purpose in using the Bible is to manipulate others into doing what we want them to do, we dishonor them and we dishonor God. That’s because the Bible is primarily a Book about relationship. It contains plenty of wisdom. Lots of information. A plethora of inspiration. But its primary purpose is to show people a God who wants to be with us, and who has gone to unfathomable lengths to secure that relationship. So while it would be possible to use the Bible solely for its instruction, the real power of God’s Word surpasses behavioral change, piercing the very hearts of people by the power of the Holy Spirit. 2. Set aside family time in God’s Word. 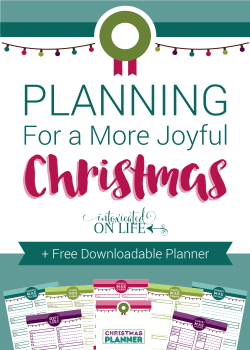 You and I could come up with a hundred excuses for why we can’t squeeze family Bible time into our schedules, but the way we spend (or misspend) the 24 hours allotted to us every single day is simply a reflection of our priorities. The fact of the matter is that we make time for what’s important. Remove the pressure of preconceived ideas and high expectations, and simply choose a fairly regular time that works best for your family. 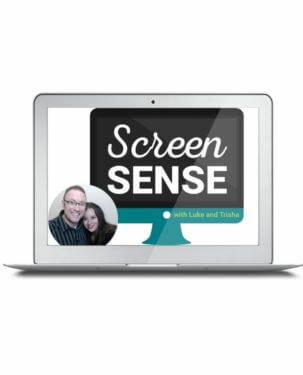 There’s no formula, no particular duration, and no single “right” way to have family devotions. It will look different from family to family, and will even vary within a family from season to season. That’s okay. The point is to simply enjoy some family time getting to know God, and inviting Him into the struggles and joys your family is experiencing. 3. Use biblical principles to train your children. The Bible is full of wisdom for parents to use in child-rearing. Some of this wisdom is obvious, such as, “Hatred stirs up strife, but love covers all offenses” (Proverbs 10:12). Other biblical wisdom is more subtle, discerned by contemplating historical narratives and real-life experiences of flesh-and-blood people like you and me. The more time you spend in God’s Word individually and as a family, the more apparent these principles will be. 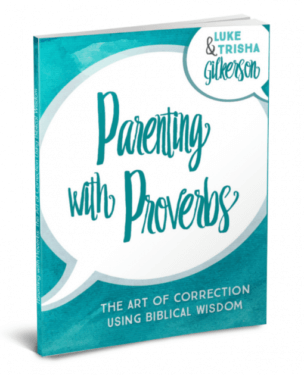 If you’d like some practical guidance about how to use the Proverbs in your parenting, you’ll find this resource helpful. 4. Make God’s Word a regular talking point. In Deuteronomy 6:4-9, God commands parents to talk about His words all day long. And though at face value this seems like a tall order, sensitive and alert parents will find that opportunities for these conversations abound. 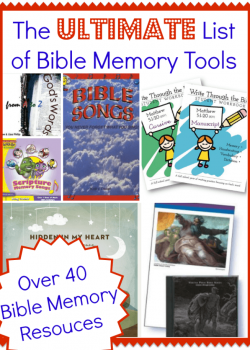 When your kids ask “why,” point them to the Bible. 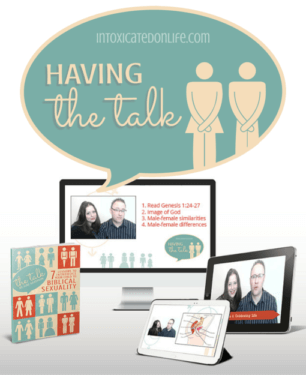 When you’re administering discipline, share Scriptures relevant to the heart issues involved. 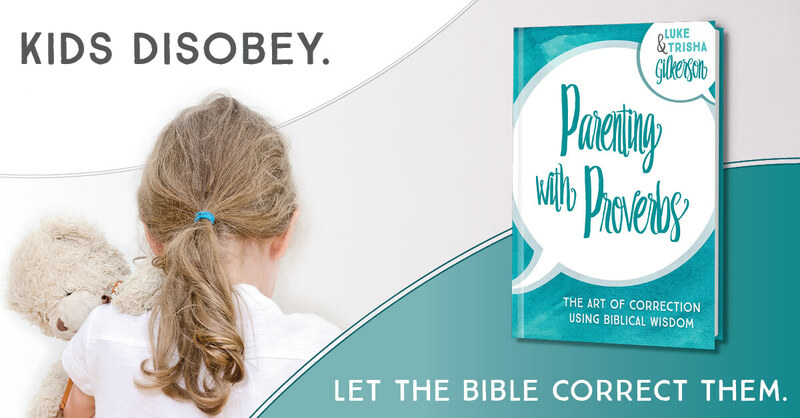 When your kids have a problem, encourage them to seek wisdom from God’s Word. 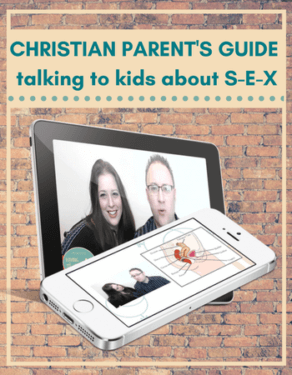 When you’re discussing relationships and sexuality, facilitate conversations through the filter of the Bible. The Word of God is living and powerful (Hebrews 4:12), and the effective, fervent prayer of a righteous person avails much (James 5:16). Combining these two principles by praying the Scriptures is a very fruitful endeavor. Make it a practice to pray the Scriptures personally. Pray them over yourself, your spouse, your children, and your family unit. Teach your children how to pray the Scriptures, as well, by occasionally making it part of your family devotional time. Time spent praying the Scriptures is time well-spent. 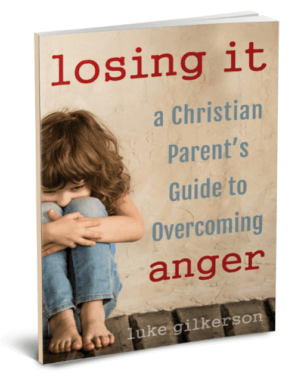 One of the greatest lessons Christian parents can teach our kids is that the Bible matters. It makes a difference in life. It’s a Book deserving of utmost honor; at the same time, it’s equipped to address the worst of our messes. What one step will you take today to adopt the Bible as your parenting manual? Exactly, Katie. I like to say that there’s no better text than God’s Word, and no better Teacher than His Spirit. Sure, we can learn from others, but that shouldn’t replace the time we spend learning from the very best Parent of all. Thanks so much for stopping by! So much truth. Thanks for the wisdom you shared through this. Can I ask how many kids you have now? I’m glad to find this!! I’m glad this post blessed you, Stephanie! I now have 6 children – 3 biological and 3 through foster care. My oldest is now 12, and while we still have a long way to go, we have been blessed to already observe some fruit from using the Bible as our parenting manual. Thanks so much for taking the time to get in touch! Such a deep and powerful post. Thanks for sharing and gives me a new perspective on the Bible. I’m so glad you found this to be helpful, Jen. Thanks for taking the time to get in touch! Thanks so much for this reminder! Much needed!! Thank you for this article! I am the mother of four beautiful children and I sometimes have to push myself to teach them the lessons of the Bible. My youngest son is four and has severe autism which poses a whole new challenge! But I am blessed! I think we all need that push sometimes – the reminder that our primary job as parents (besides ensuring the survival of our kids 😉 ) is of a spiritual nature. Thanks for reading, Patty! Thanks for leaving this post. These are things that I know, because this is how my parents raised me and my siblings. I’m thinking having a Pastor for a father and an evangelist for a Mom, they had to. So since I’m neither of those, and my husband is not as strong in the word, I find it that it is extremely burdensome on me to take my kids to Church and teach them the word of God. Sometimes, I do get selfish and tired, but I have to keep reminding myself that it is not about me, it is for these young minds that are desperate for true guidance. By the way my kids are 12 and 9. And now I’m getting them more involved with the Bible. I’m thinking I waited a bit too late to get started, because they are starting to grow into their own, and I get push backs, but I’m nit giving up. I have come up with a fun Bible exercise to do with them as a family, so I’m excited about it. Again, thanks for the post. And God Bless you all! Somehow I missed your comment several months ago, Joni, and I do apologize for that. I hope things have been going well for you and your family in this realm. Thanks for sharing your perspective! Excellent truth – filled post. Applying this, and being on our knees praying for our kids, while by the grace of God modeling what we’re training, are those 3 legs of the proverbial stool of childtraining, raising them in the nurture and admonition of the Lord. God will help and give wisdom. Thank you so much for sharing. Hi, Wendy, and thanks for stopping by! I’m glad this post resonated with you. May God’s grace equip us to be faithful in training the next generation of Christ-followers!